Here at Sandbox, we are always looking for better ways to help both our customers and free trial users. 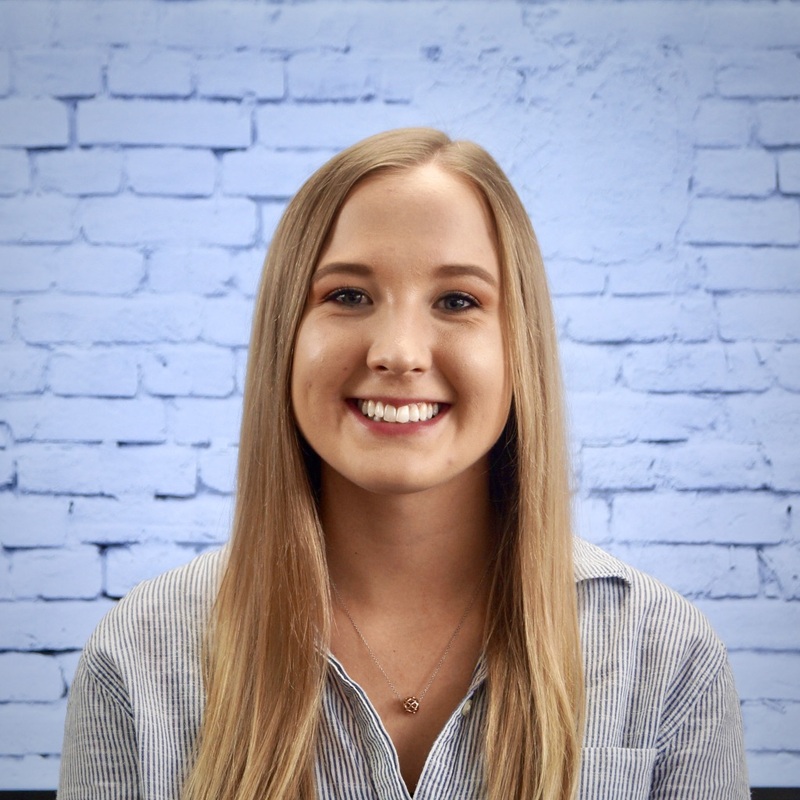 We recently implemented Intercom, which has been a great success! 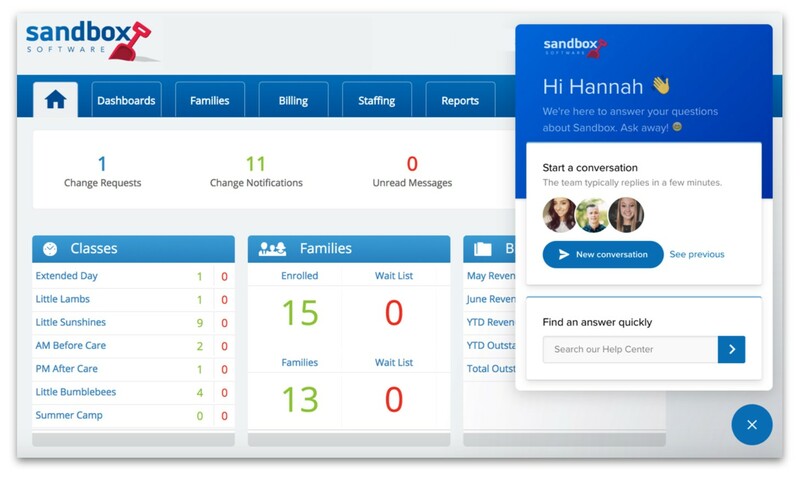 Now we would like to introduce the Sandbox Help Center. We have filled our help center with over 200 articles which will help answer those itching questions you have about the software. You can access the help center through the chat section by using the, "Find an answer quickly" option. 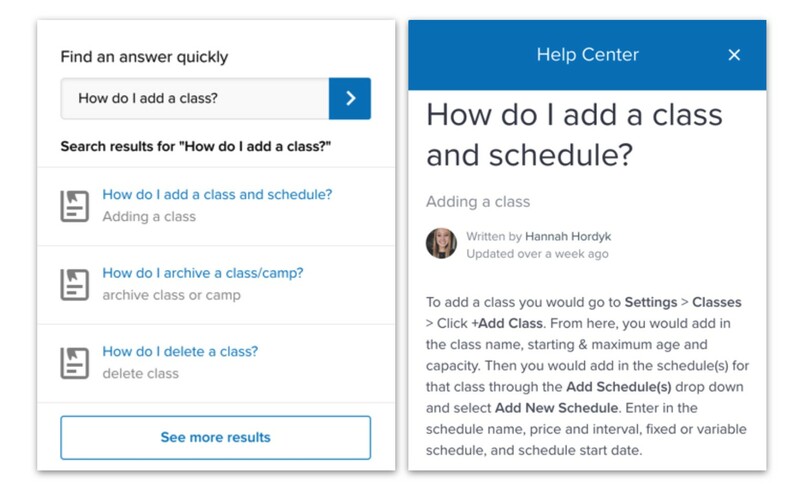 You can type in your questions here such as, “How do I add a class?” or “How do I enroll a child?”, and it will pull up articles based on the keywords. If you wish to search throughout our whole Help Center, click "See More Results". The Help Center covers everything from adding in children and classes to creating invoices and adding payments. 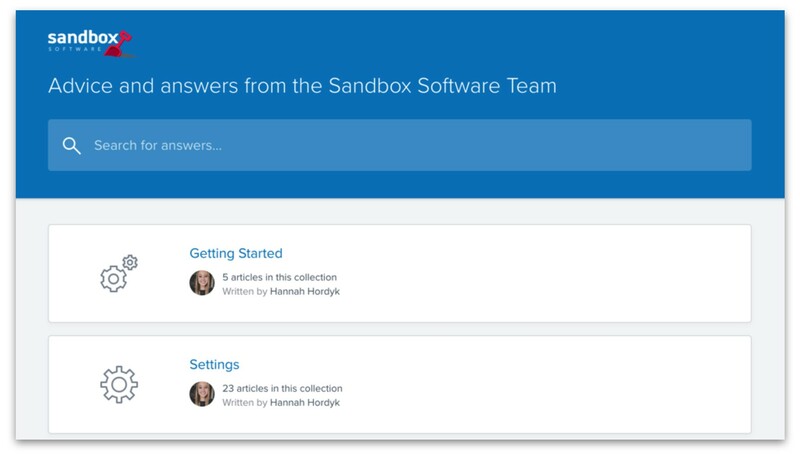 Of course, our support team will still be there to help you as you navigate your way through Sandbox but this is especially helpful when you need questions answered quickly and on your own time.